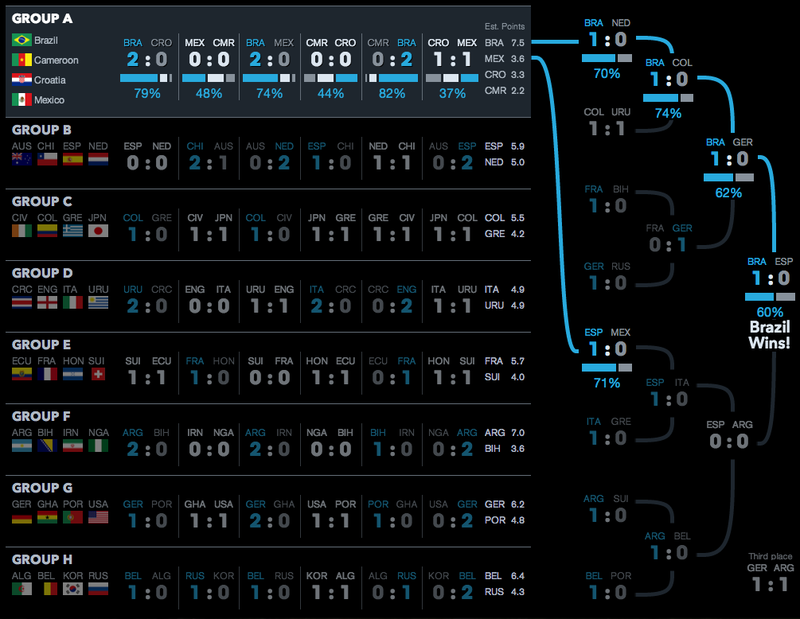 Earlier this week we looked at how Bloomberg was doing predictions and odds for the World Cup. Today we look at the Economist’s go. It uses something called the probability circle. 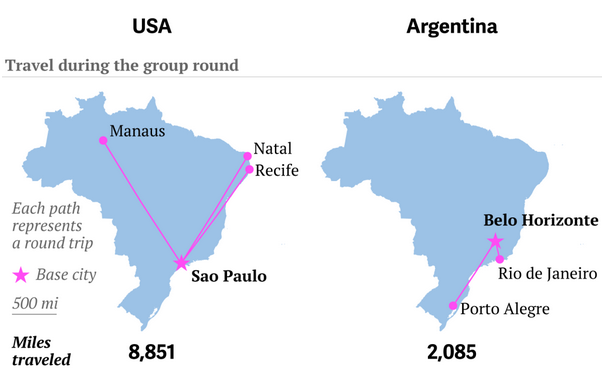 It lacks the depth of Bloomberg’s piece, but from a design angle does play off the shape of the soccer ball and not in the cheesiest of fashions. Here it actually begins to work in lieu of our familiar bracket system (see every other sports final tournament series I have ever seen). To be fair, the Economist does not actually make any predictions in this, rather, it provides the odds that different teams will make different stages. Credit for the piece goes to A.Y., P.K., D.D.M., J.M.F., and K.N.C. 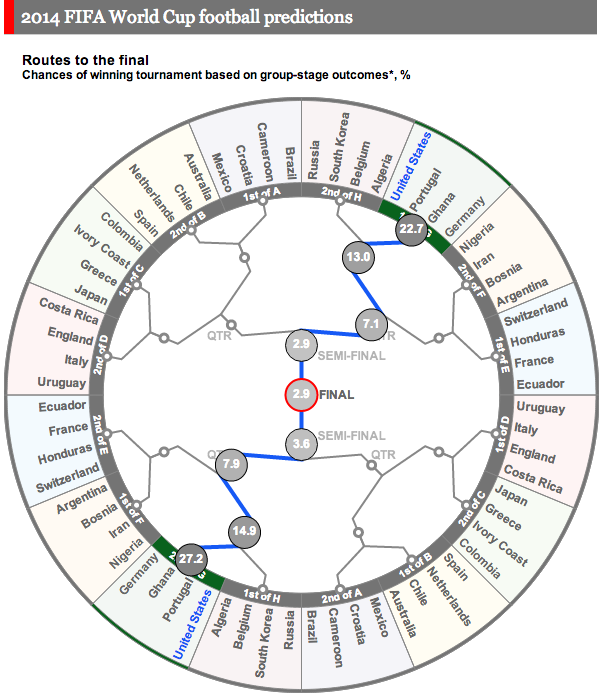 The World Cup is starting soon and that means predictions are also on their way. And snazzy graphics. Today’s snazzy graphic with predictions comes from Bloomberg. They have host Brazil winning the overall tournament. And if you want to investigate the matches further, you can do that by clicking on the match.